the centre of the clock is separate to the outer rim, no glass, no backboard, just open wall between the hand and the numerals. The clock centre and rim are hung independently to give a light, see-through look that creates a fabulous sense of space. The ornate hands of the floating wall clock have an antique brass finish that perfectly complements the washed grey wooden rim. 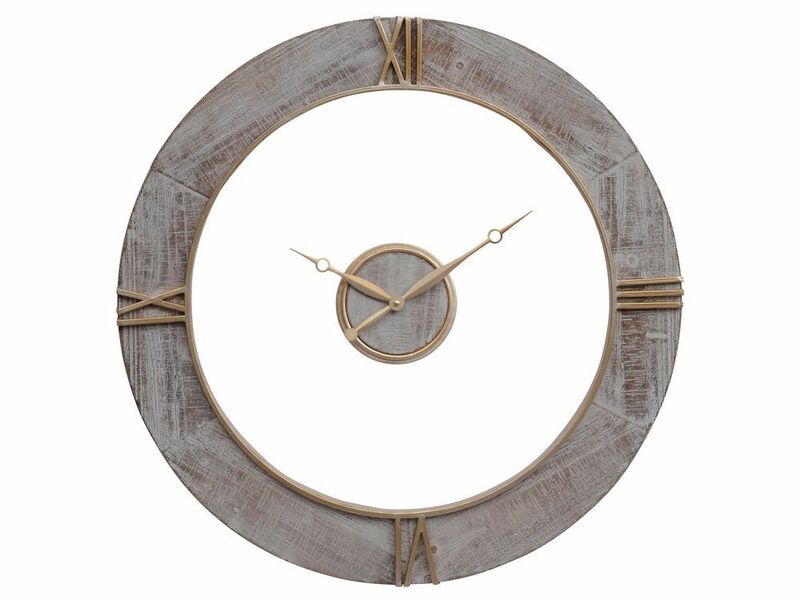 In looks, the open face clock is a fabulous fusion of rustic and industrial design, and in design, the 2-piece wall clock makes a striking focal point in any room.